I wonder why it has taken Crayola so long to realize they could enter the school supplies market with their own core products. They own the space with colored pencils, chalk, crayons, markers, and paint. Why not expand to pens, pencils, dry erase markers, highlighters and permanent markers? Before Crayola contracted out much of this work to outside vendors, but recently has brought it back in house and will be releasing all of that for teachers. I can see them really dominating in this field. And if I were the other school suppliers in these markets I would be scared. These are the Number 2 pencils Crayola came out with in 2018. They feature graphite encased in a wooden casing with colorful latex free erasers. The No 2 on the pencil refers to the HB scale of the pencil with H being super light and B being very dark. The number 2 is usually HB, in the middle of the two. 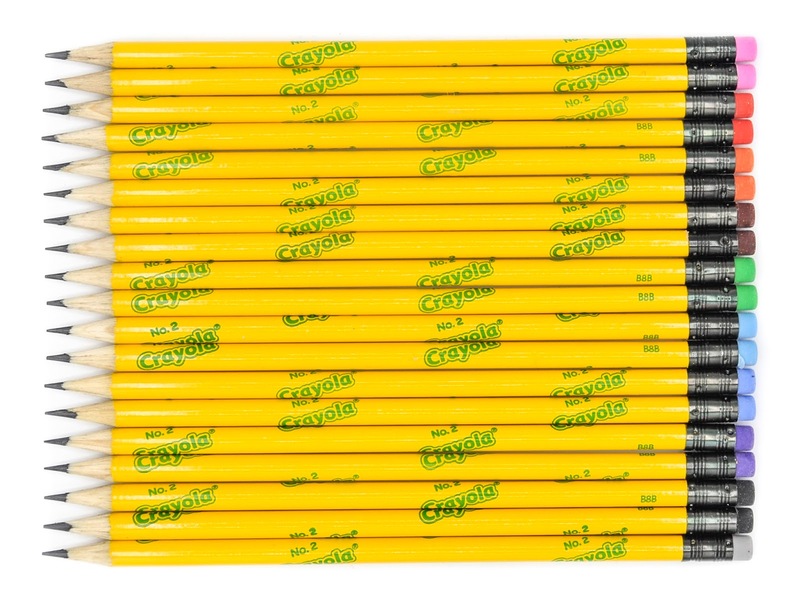 I am super excited Crayola is making regular pencils now! Find these pencils on Amazon. Where to buy: ebay or Amazon or any places that sells Crayola products.